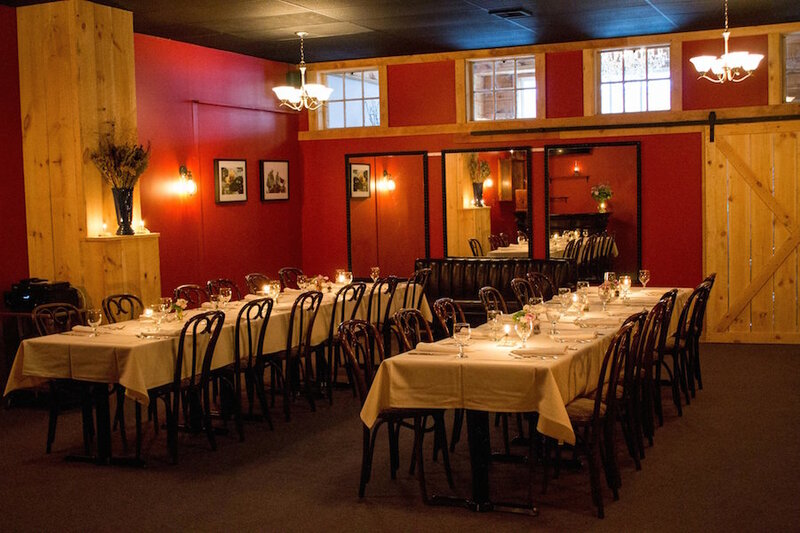 Allowing up to 40 guests, our private dining room is perfect for your next birthday party, bridal shower, graduation party or rehearsal dinner. We can host a buffet dinner or we can create a Prix Fixe menu with you. With its own bar, event staff and restroom facilities, you and your friends and family can enjoy this intimate setting all night long. This private event room can be booked for any night of the week and with full A/V equipment we are perfect for family reunions, memorial services and corporate events. Ask about our special engagement package if you are looking to surprise your partner in a romantic candlelight room!